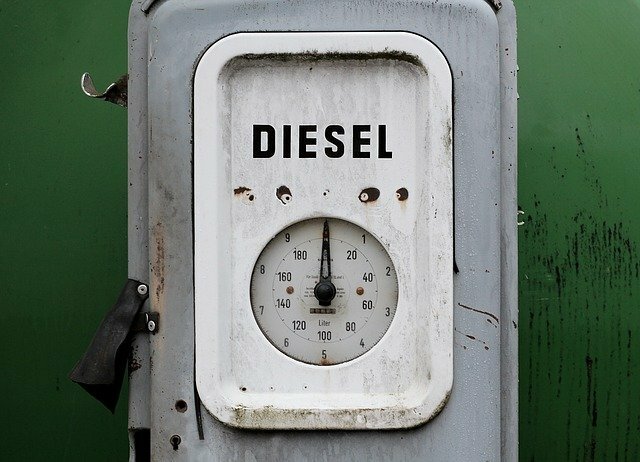 It's unlikely that you'll never have a problem with your diesel engine. But when one occurs, you want to get back on the road as quickly as possible. Being able to identify some of the most common issues can help with that. 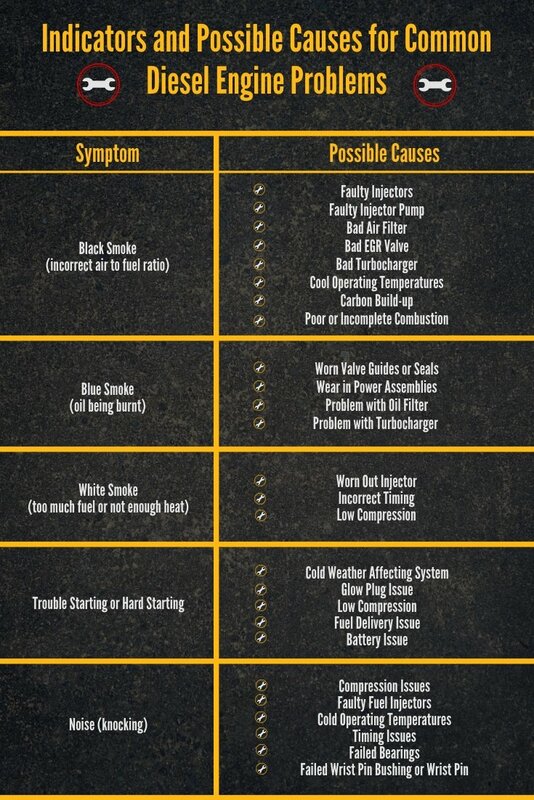 There are many different reasons your diesel engine might be acting strangely, and while it can be frustrating to have it out of commission, it's better to check out your engine if you're experiencing any of these symptoms before you have a total engine failure from a problem that worsened. This is not a comprehensive list of everything that could be causing you issues. It's just meant to give you an idea of what might be going on under the hood. If you have any questions about your specific case, it would be wise to contact your mechanic. For more information on excessive oil consumption, its causes, and the effects it has on your engine, take a look at our past blog, Excessive Oil Consumption Explained. 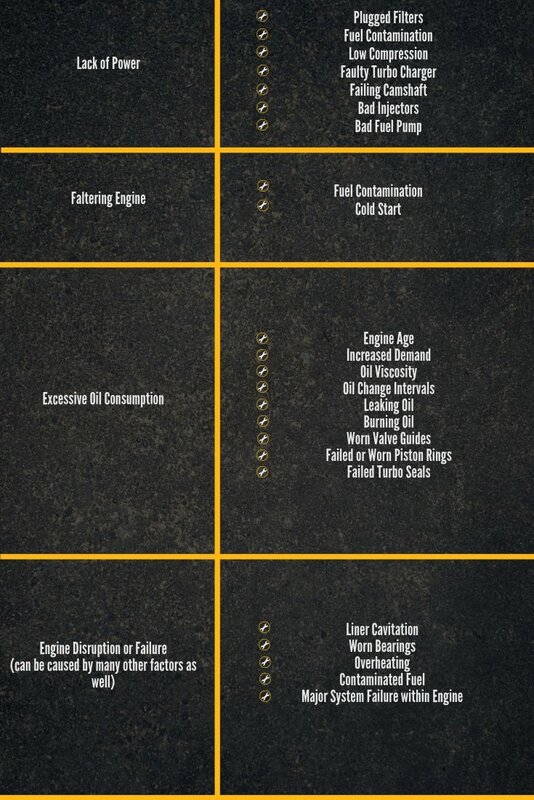 Some of the minor issues listed above could lead to total engine failure if left unaddressed for too long. Don't ignore the warning signs. You could prevent a minor repair from becoming major if you catch it early. If you do happen to experience a major engine problem that requires a rebuild, we can help! Take a look at our selection of re-ring, inframe, and out-of-frame rebuild kits. If you'd like to request a quote on a part to help with any of your diesel engine problems, you can do so online, or you can give us a call at 844-215-3406 to speak with one of our certified technicians.